There are hundreds of security apps available for Android in the Google Play Store, with each having its own special function. There aren’t many remote control apps for the Android OS and the ones that are available, include various additional features as well which is quite annoying. Controlling an Android device via a “remote”, basically, means that you can make your device perform certain actions by using a tool or remote. 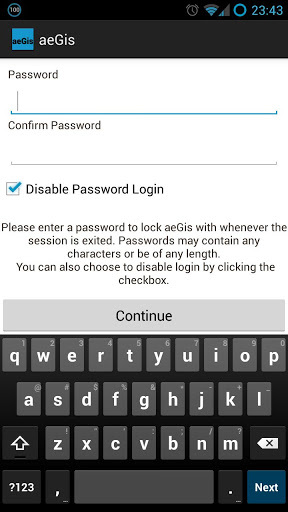 aeGis is a new Android remote controlling app which includes some brilliant features and is easy to use. The app uses SMS to control the device and by using messaging, you can make your device act in a certain way. Not only is this app a good alternative for security, but it is also really useful for everyday use. The app is very similar to the security app, Lookout, on Android except that it uses SMS and doesn’t need any network connection. If you ever lose your device or if it gets stolen, you can send an SMS on your number and the app will trigger one or more of 4 actions. Firstly, you can lock your device by sending a particular SMS on your number. This code or SMS can be set for different actions within the app. If your device is in the wrong hands, you can easily lock your phone without having to hold it. The second action is enabling sound. This is probably one of the best features of this app. A lot of people lose or misplace their phones and they need to call their device in order to find it. However, there are instances when the device is in silent mode, so the device won’t ring when you call it. 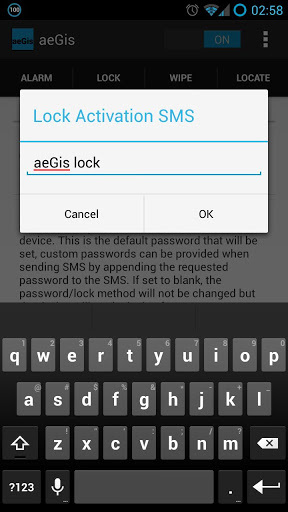 By using aeGis, you can send an SMS to your device and it will enable sound automatically. The other 2 features are to remotely locate or find your device and to Wipe everything on the phone by sending an SMS. aeGis can be downloaded using this link.